Identification: Tiny—1". Sexes are similar. 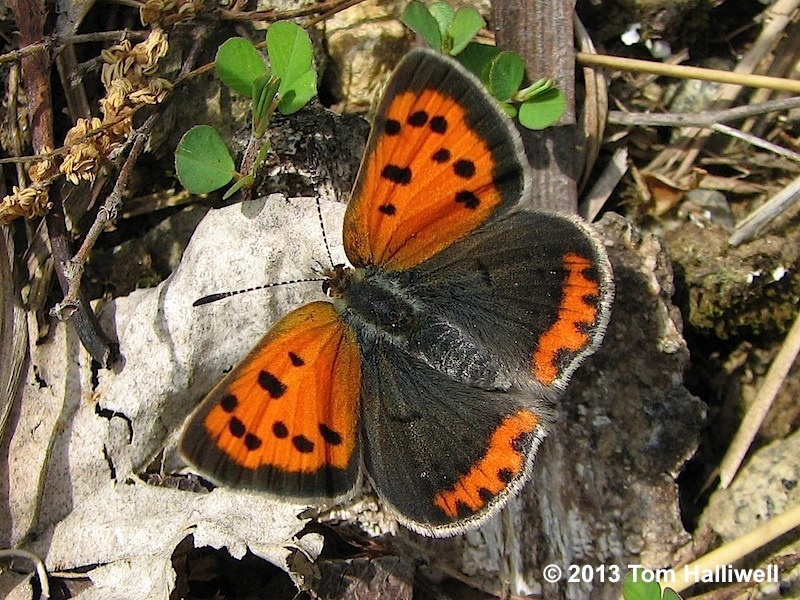 Above: FW bright orange with dark spots and outer border; HW grayish-brown with bright orange band along trailing edge. Below: FW bright orange with large dark spots and grayish outer margin; HW grayish with small dark spots, and a thin orange line along trailing edge. Similar species: Bronze Copper is noticeably larger, and most easily separated below by much wider orange band on trailing edge of HW. NJ Status and Distribution: Resident. Locally common throughout NJ. Habitat: Open, often disturbed, areas with the host plant. Attracted to gardens with flowers such as Butterfly Weed, Mistflower, and mints. Flight Period: Early April to early November but most common in May, July, and again in late summer/early fall. Extreme dates: North Jersey 4/4—11/2; South Jersey 3/28—11/15. Larval Food Plants: Mainly Sheep Sorrel (Rumex acetosella), a common, naturalized plant of disturbed habitats, including lawns. Overwintering Stage: Uncertain whether egg or pupa. 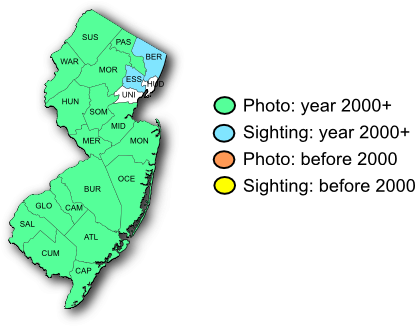 Best Locations: Sandy Hook GNRA, Flatbrookville, Riverwinds Scenic Trail, Cape May Point SP, Medford Leas, Colliers Mills WMA. Comments: Prefers to nectar on yellow, white, and light purple/violet flowers. When fresh, this little jewel never fails to impress novices and jaded experts alike. Mountainside Park, Morris Co., NJ, 5/13/09. Flatbrookville, Sussex Co., NJ, 5/5/12. 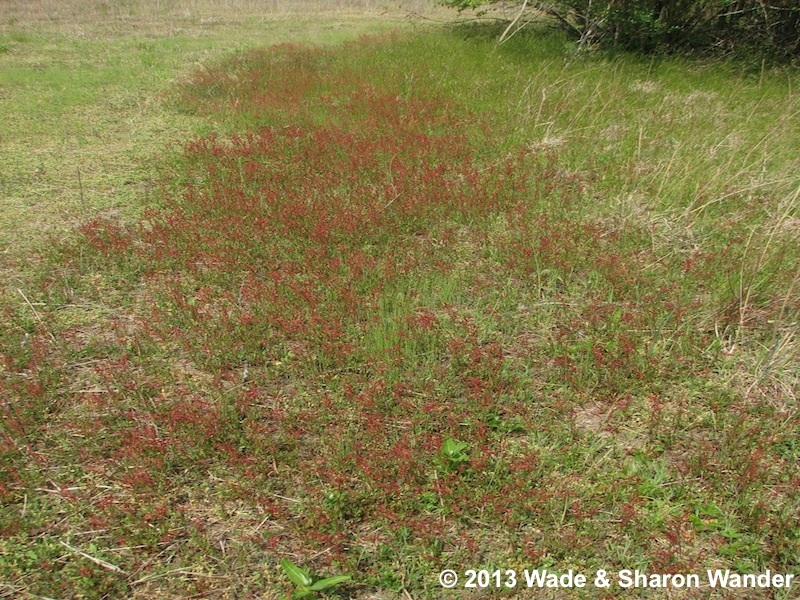 Stand of Field or Sheep Sorrel (Rumex acetosella). 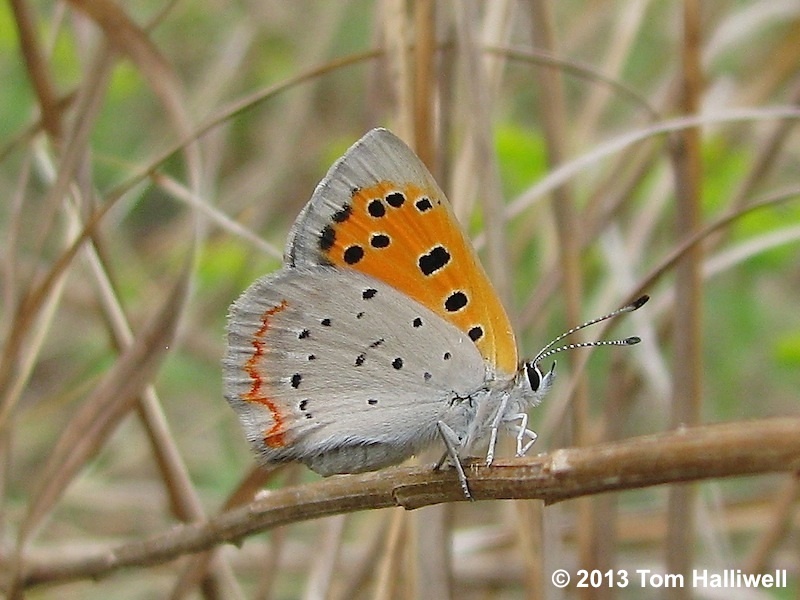 This non-native plant of lawns and other disturbed habitats is one of the main host plants for American Copper.